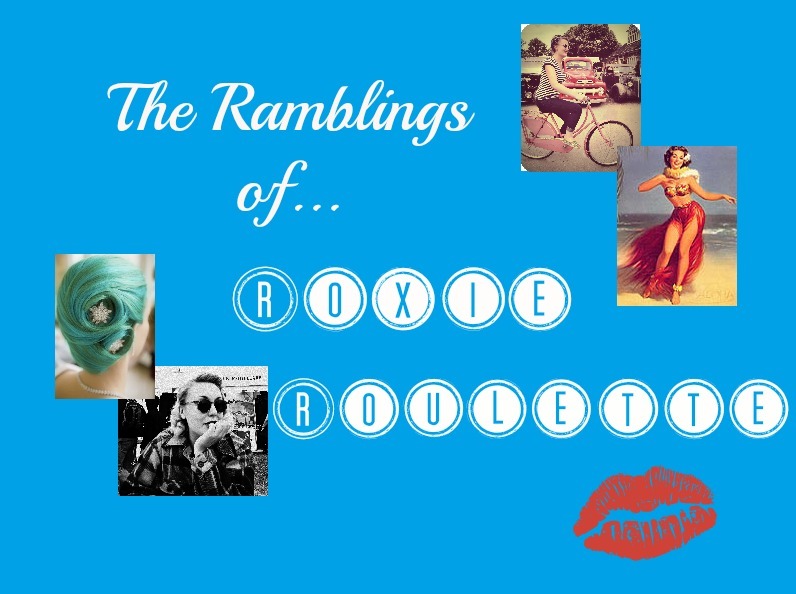 The Ramblings of Roxie Roulette: What were they thinking? 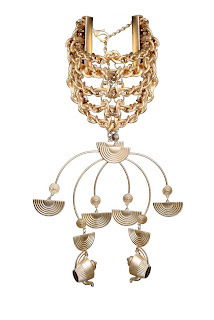 Topshop, Topshop, Topshop what were you thinking? Most the time I don't mind your fashion infecting the individuality of the highstreet, but this time I am thinking your creations won't really catch on. 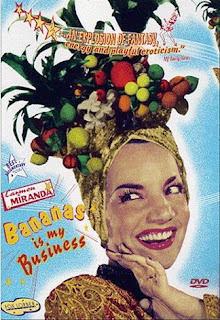 First of all we have the 'fruit bowl' look; I appreciate Carmen Miranda as much as the next person, but, outside of a fancy dress party, I wouldn't want to walk down the street looking like her. 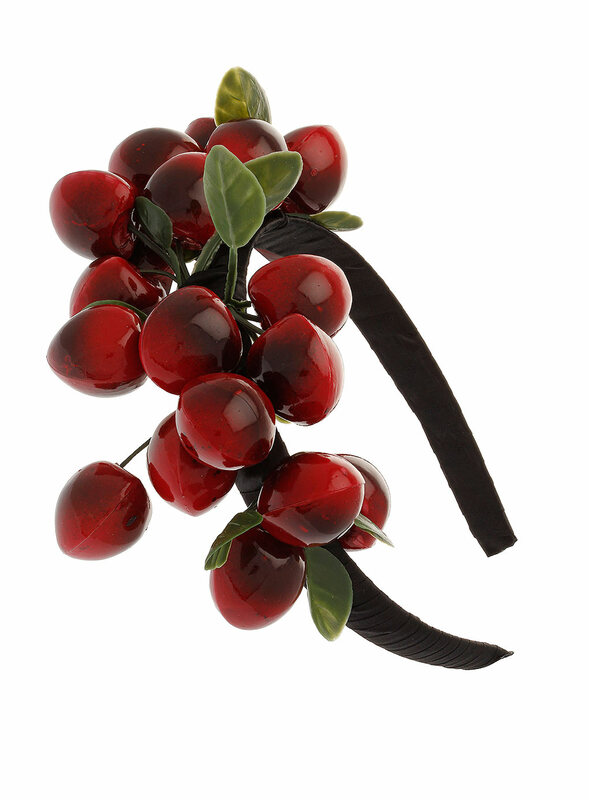 And why not finish the look with a cherry headband? Which, apart from playing the part of a Faerie in 'Midsummer Nights Dream', I really don't see a purpose for. 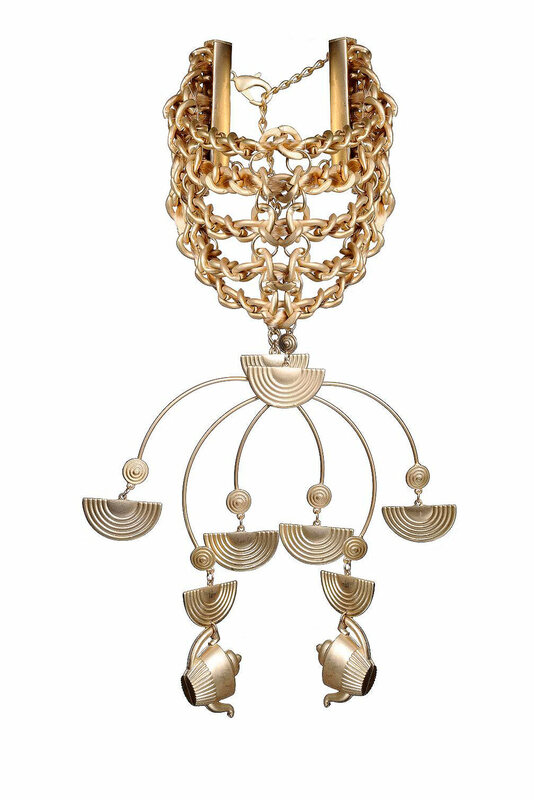 If the Carmen look isn't for you, why not try an artdeco 'inspired' tea pot necklace at just £50.00? Equally as strange! I mean, what outfit would that seriously go with? 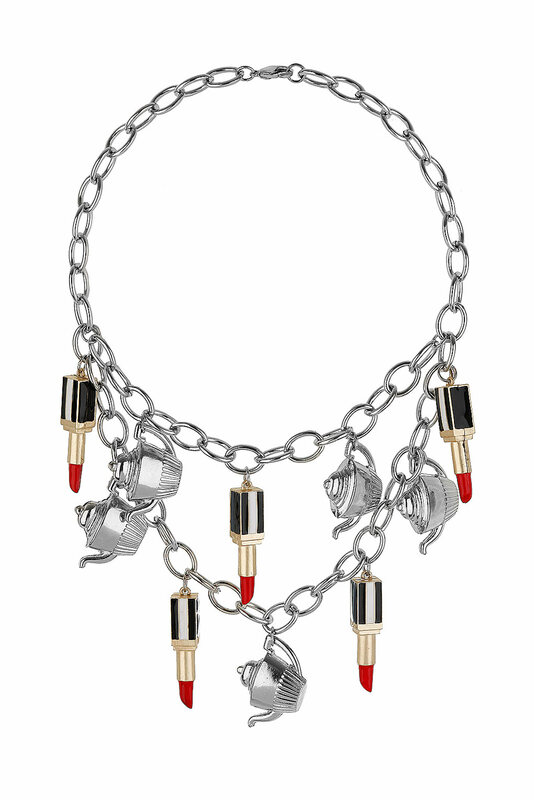 Perhaps these still aren't your cup of tea, and you'd rather have hairy lipsticks dangling from your earlobes? Well, luckily for you Topshop has answered your request! 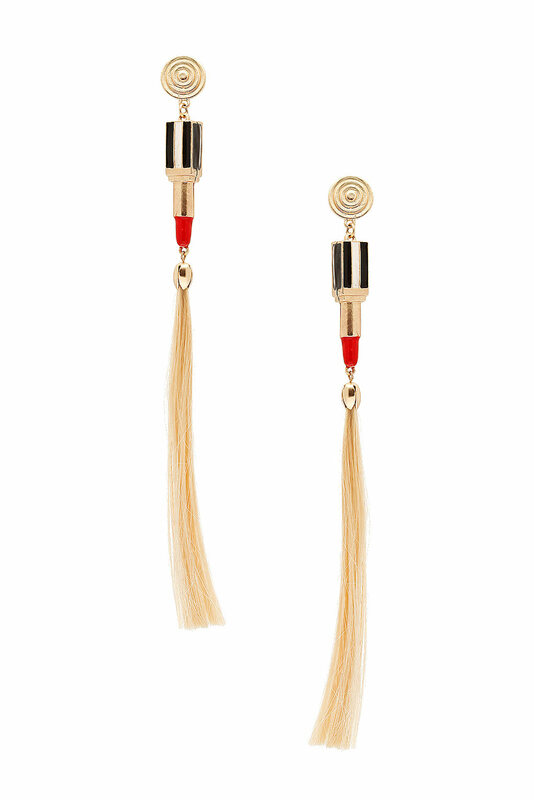 These beauties can be your's for just £20.00! 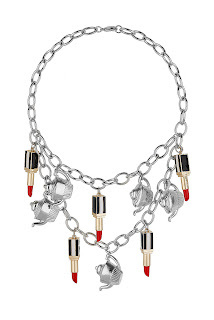 They've even designed a necklace to accompany these delights - sadly, fake barbie hair not included. In conclusion, there is only one question remaining: who in their right mind would spend their hard earned money on this tripe? This makes me feel a lot better about not having access to Topshop in New Zealand! 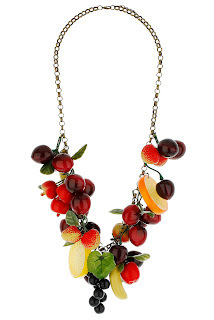 Just came across your blog via Missy Vintage - would love it if you stopped by mine sometime.